Kiev’s military today started shelling Debaltsevo at the moment when residents went to see the Christmas tree lighting together with their children, LPR People’s Militia Adminsitration Head col. Oleg Anashenko said. Today in the afternoon Kiev’s military started shelling Debaltsevo by artillery, as a result of which a school, a kindergarten, houses and a church were damaged, power supply was disrupted. 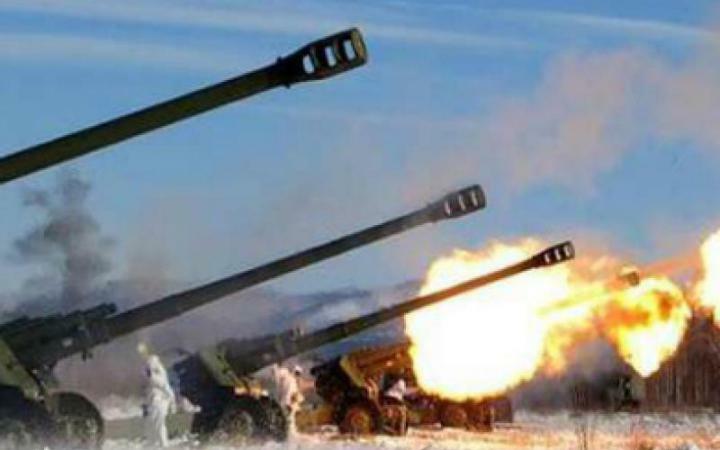 LPR People’s Militia Spokesman major Andrei Marochko informed that Debaltsevo is being shelled from residential districts of Svetlodarsk and Mironovsky township controlled by Kiev’s military. “Today approximately nine houses, streets, and, most importantly, children were gathering to see the lighting of the Christmas tree, at five minutes to three they opened fire on the city. This was a pure provocation, since all of the city knew about this, the children wanted to see the Christmas tree, and such a ‘coincidence’ happened at that moment. This is none other than extermination of their own people,” Anashenko said. “The time of the shelling coincided with the start of the celebratory event – the lighting the city’s Christmas tree for the children. However, due to the shelling, the people were frightened, and, naturally, all of them were hiding in their buildings to avoid casualties. If these people shell temples, nothing is sacred for them,” he added. Units of Armed Forces of Ukraine, with the support of artillery, launched breakthrough attempts in the area of Debaltsevo on December 18. According to LPR People’s Militia, up to 40 Ukrainian militants were killed and 50 were injured. Four servicemen of the Republic were killed, five were injured. This entry was posted in News from Ukraine and tagged Children, Debaltsevo, Shelling, Ukraine, Violation of Ceasefire. Bookmark the permalink.